Professional cleaners without the professional price. Multi Services was found in 2007 when we realized cleaning services in Toronto were charging too much for their services and we wanted to bring affordable cleaning to customers. 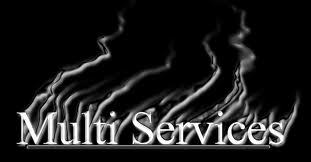 Multi Services is a professional family cleaning Services in Toronto. Locally owned and operated by a member of your community, so you can be assured you will receive quality, dependable and honest service every time. We do not view our customers as numbers, but as the neighbours we serve. We are a team of specialist in providing high quality services for residential and commercial business in the Toronto Metropolitan area at a very competitive rate. We effectively provide on-going reliable results every time, as we take the responsibility of caring for your home/business. From my experience many companies don’t care about the product or service they provide their customers, however Multi Services cares and we will always give you a good service satisfaction guaranteed for we want to be as valuable to our clients as they are to us. We look forward to bringing our values and qualities to your establishments. We have a stellar track record; however, if you are dissatisfied with your cleaning you are given a 24 hour period to contact us and have that particular area re-cleaned at no cost to you. A note will also be made on your file so that we know to pay particular attention to it next time..